Publié le 14 mai 2014 . Fake Opposition King With Fake Proposals! President James Michel met with the Leader of the Opposition in the National Assembly, Mr. David Pierre, today at State House. The President and Mr. Pierre exchanged views of national as well as international importance. Mr Pierre briefed the president on his recent participation at an international conference in Zambia on governance and accountability and finance. They also discussed the work of the National Drugs Enforcement Agency (Seychelles). Mr. Pierre said that he has recommended that the Government provides this agency with the necessary resources so that they could deliver their duties to the highest level, so that the country can deal with the issue of drugs more efficiently. 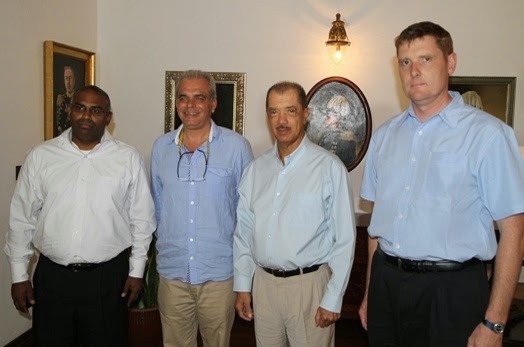 They discussed lengthily the prospect for oil exploration in Seychelles. Rolex - Polo Communist Ambassador signs Something! Seychelles Permanent Representative to the United Nations, Ambassador Marie-Louise Potter signed the Minamata Convention on Mercury behalf of the Republic of Seychelles at the United Nations headquarters in New York on the 27th of May. Seychelles becomes the 98th signatory state to the Convention. The South African Revenue Service (Sars) obtained a final preservation order on Thursday against the assets of Czech fugitive Radovan Krejcir. Judge Ephraim Makgoba granted the order in the high court in Pretoria as Krejcir’s trial on charges of kidnapping and attempted murder continued in the high court in Johannesburg sitting in Palm Ridge. The judge dismissed Krejcir’s last-minute attempt to postpone the taxman’s application to place his assets, along with those of his wife Katerina Krejcirova and a number of business entities and trusts, in the hands of a curator. The order would enable the curator to unravel Krejcir’s complicated business empire, trace hidden assets, and dispose of existing assets to cover his massive tax bill. Mr. Christopher Gill and his Iles Des Palmes Eco Resort of Praslin, working in partnership with the National Heritage Foundation, which is chaired by Mr. Pat Nanty, has open a historical treasure trail that is now open to the public for tours. The trail tour commences with an interesting display of 17th century pirate relics found along the treasure trail. It proceeds to explain the economy of the plantation era before Seychelles had an airport and the connection to the world was by slow boat every 6 months. In this era, spices were king. This is the era when Cinnamon, patchouli, and copra were important cash crops for the Seychelles. Disbelieving family and friends of an ex-Navy SEAL who died of an apparent drugs overdose on the ship made famous in the movie Captain Phillips are convinced of a 'cover-up' and have called for a US investigation into his death, MailOnline can reveal today. The body of Mark Kennedy, a super fit, highly-decorated member of the elite fighting force, was found inside a cabin on the cargo ship Maersk Alabama - the vessel involved in a 2009 hijacking that ended with Somali pirates shot dead by SEALs. Heroin and a syringe were found by the bodies but friends who knew Kennedy, 44, a powerfully-built man who prided himself on staying fit, have questioned that he would turn to drugs. The Seychelles Coast Guard has taken delivery of a new Type 62 Class gunboat donated by the Chinese government to help boost the operational capabilities of the Indian Ocean island nation's naval force. The vessel, known to the North Atlantic Treaty Organisation (NATO) as the Shanghai Class II, was handed over to Seychelles foreign affairs minister Jean-Paul Adam and military top brass on April 29 at the Ile du Port base by Chinese ambassador Shi Zhongjun. Adam said the patrol vessel will be manned by Seychelles Coast Guard personnel but they will for several weeks be trained by Chinese experts after the commissioning. The Seychelles, through the Seychelles Energy Commission and the PUC both run by Philip Morin a 1980’s engineer, who we supported in the past because he replaced a high price French Chairman, has kicked the bucket now with his ridiculous program on Photo-Voltic alternative energy program he is enforcing with the private sector. The legacy of inefficiency and lack of productivity is being enforced by Mr. Morin to suit his political puppeteers at PL. We expected professionalism from you Mr. Morin. Right now you are looking no better than your crony brother Charlie the golfing putz that plays 9 hole. Carma-Lita………………. Hold Us Tight …….., Seychelles Is Going Down on Heroin and We Need Your Love Now! Walk down Market Street on any given day of the week, you will see the victims of heroin on the street side, young men, young women, looking scraggly, looking 50 plus but they are only 35. Walk up Belonie the scene gets worse. Point Larue, Anse Aux Pins, same story. Cote D’or, Praslin all over, around Baie St. Anne at Paulies store, they are in and out of a nearby drug den. Grand Anse, behind Pension Fund Building the granite marble building, under the Bodamier trees where Golan use to collect for a dose of bakka, you will see the same. You only have to look a little beyond the obvious. La Digue has a problem as well. But I will leave that to Digious to discuss for themselves. When all is said and done, it is so sad, so very sad. 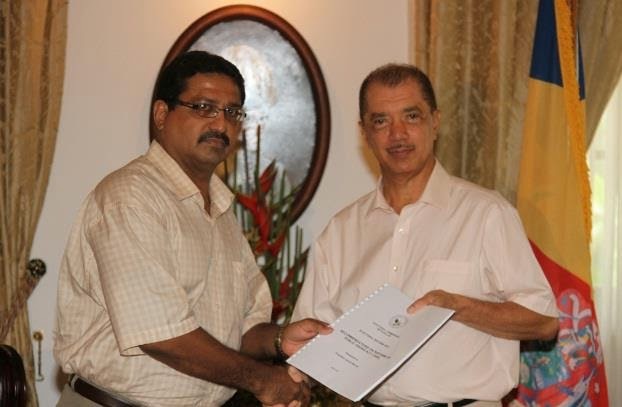 SBC has taken on the Planning Authority lynch man Gerald Hoarau the Chairman. Mr. Hoarau is a surveyor by profession, whose hobby is raising dogs and studying the Town and Country Planning Act of 1974 in his past time, which he refers to as the “Bible”. 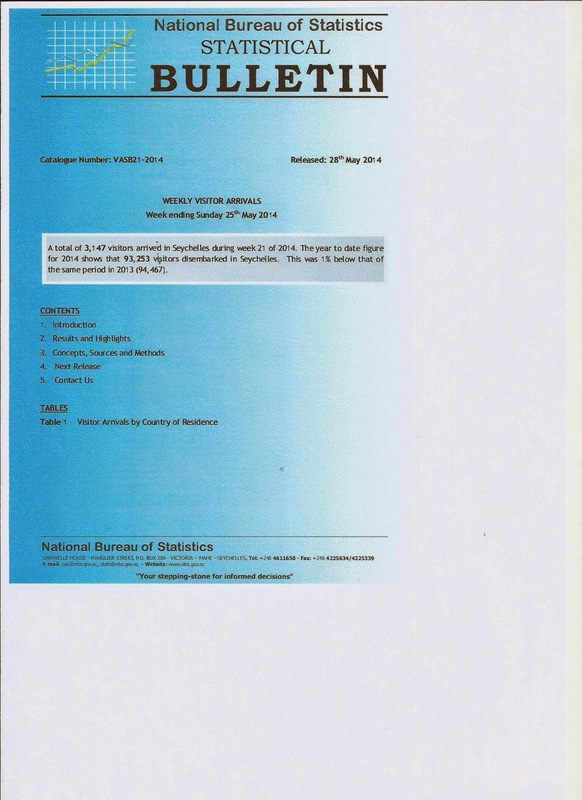 It is noteworthy that the private sector is suffering greatly from lack of sufficient land surveyors. Mr. Hoarau has no children. Perhaps he does not understand the pain he causes, when his procedures delay plans, for a family, and cost them money, beyond planning fees. I wonder if Mr. Hoarau has ever sat down to calculate the damage he has done to the economy of Seychelles, over the years? It is tremendous, I suspect. Its time to put an end to it, and it is time to say Bye, Bye Mr. Hoarau if he cannot catch up to 2014. The People of Seychelles, from all parties, except for the Seychelles Russian Club and Seychelles Arab League who get what they want from the Planning process, has had enough. 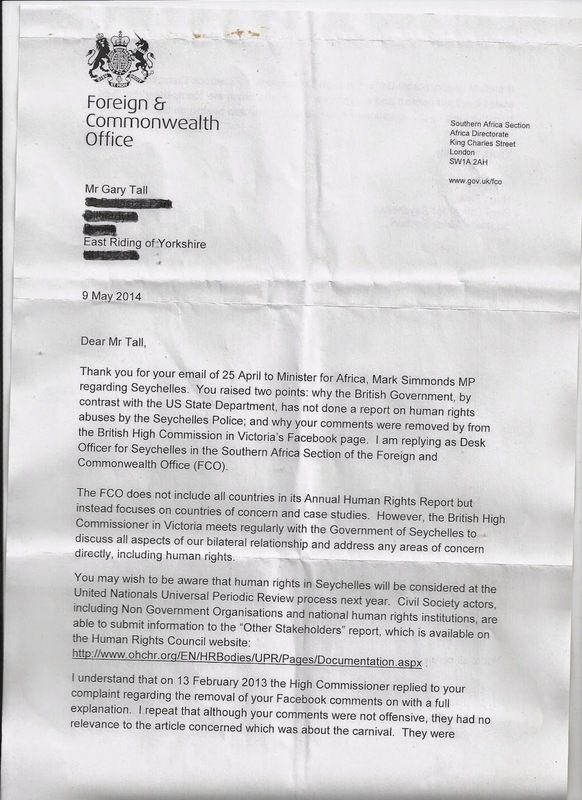 Censorship at British High Commission To Protect Communists! Alain St.Ange, the Seychelles Minister responsible for Tourism and Culture, has left the country and is en-route to Madagascar for the Indian Ocean Vanilla Islands Ministerial Meeting which will also see the elections for the 2014 President of the Regional Organization. 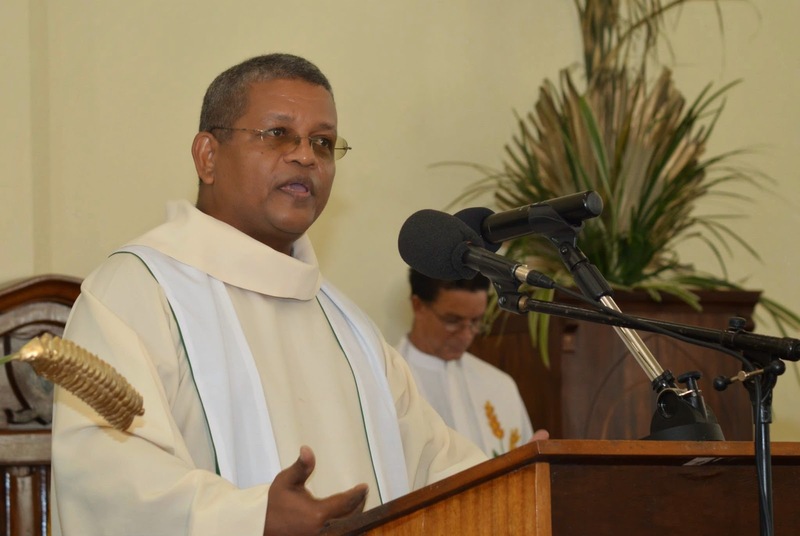 The Seychelles Minister is the outgoing President of the organization having served two terms. In Madagascar he will be chairing his last meeting prior to the elections for the new President. On the Agenda for this Ministerial Meeting will be the report of the last Ministerial Meeting in May 2013 when the elections took place to renew the mandate of Minister St.Ange. This meeting that was called by Madagascar was attended by Comoros, La Reunion, Madagascar, Mayotte, and Seychelles. Only Mauritius was recorded as being absent at this meeting. MultiChoice cuts off all its content in the Seychelles; blocks all of its DStv channels and SuperSport to Intelvision subscribers. Pay-TV subscribers in the Seychelles are fuming after MultiChoice cut of all of its content in the Seychelles and blocked all of its DStv channels - including SuperSport - that was available on the island nation's only pay-TV provider Intelvision, leaving angry TV viewers with no access to any premier international sport. The exact reason for the blackout of the SuperSport and DStv content is unknown, but Intelvision told the Today in Seychelles newspaper that MultiChoice's content was cut off and will be replaced "by better quality channels" following complaints from subscribers about too many repeats. Public Orders Act Fiasco- Kalawan Retire To Your Fat Pension! 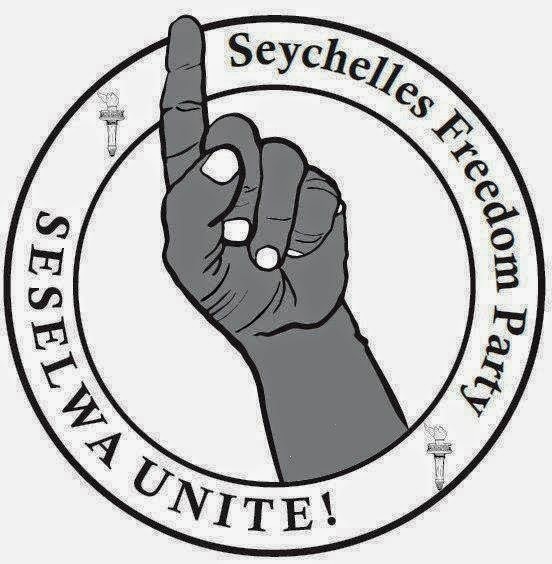 In the Electoral Reform discussions, when the PL decided that they were to railroad the process,James Michel and Danny Faure failed to attend as promised, and went on with Simon Gill to boilerplate the amendments to Public Orders Act, the Seychelles Freedom Party, under my leadership washed it’s hands of the Reform Process, refused to be bullied by PL. We walked out in Boycott of the process. Kalawan said then to PL: “let us proceed”. Blunder! Who Stayed To Give Credibility To PL? PDM stayed in silence of course. David Pierre and company are a fake opposition tasked with keeping the government of the day in office, not with removal of that government. Pierre even takes the same van as PL MNA’s to visit SBC to promise more money for SBC that is State House Control 100%. Back to Reform sham. Who joined PDM in Reform? Recently the parade of horribles coming out of Kalawan has taken new heights. Members of SNP, what is left, must take to their knees, raise their hands to the Lord and beg him to take this buffon back into the Anglican Church to let us sort out our political challenges ourselves. Bernard Georges To The Death Kalawan has said in VIZYON, a blind A4 paper, that Bernard Georges will remain SNP until he dies and he is not joining PL. Georges for your information KALAWAN has been working for PL for years. Ask Terry Scholes. It is most likely SNP will die before Bernard Georges dies, the way Kalawan is going. We all understand the need to be careful with our money. As such, we usually expect that our financial institutions will understand that basic fact of life as well. Unfortunately, the reality is that a bank is often only as secure as it needs to be. One would expect that professional ethics would result in banks being up front about the limitations on their security or accountability. Some are quite good about forming an honest relationship born of trust with their customers. Others will fold at the slightest hint of trouble and take anything and everything they can from a client's account. Of these, one of the least professional can be found in Seychelles. Alain St.Ange, the Seychelles Minister responsible for Tourism and Culture returned home on Saturday saying that he was satisfied that the UNWTO Commission For Africa (CAF) Ministerial Meeting had been a success. It was the Zimbabwe Minister Walter Mzembi, as the Chairman for the Commission For Africa of the UNWTO who chaired the Angola meeting attended by some twenty Ministers of Tourism from Africa and by as many Tourism Principal Secretaries and CEO of Tourism Offices. Mr Taleb Rifai, the Secretary General of the UNWTO and Elsia Grandcourt, the Director for Africa at the UNWTO were also present in Angola for the 56th Session of the Commission For Africa (CAF) Ministerial Meeting. "Many important points were table and discussed which showed the desire of Africa to work with Africa" Minister St.Ange of the Seychelles said. MOOKY PUBLIC SERVANT TO MILLIONAIRE! AN offshore fund managed by Singapore-based Sin Capital Partners is understood to have bought a half-stake in Finexis Building at 108 Robinson Road in a deal that values the 12-storey freehold office block at $123.8 million. This works out to nearly $2,300 per square foot on the building's strata area of 53,830 sq ft, which is close to its total net lettable area. In late 2011, another Sin Capital-managed offshore fund acquired the other 50 per cent in Finexis Building. That deal valued the property at $110 million, or $2,043 psf on strata area. Both transactions were effected through a sale of shares in Robinson Land Pte Ltd, which owns the property. In both deals, the seller was a partnership between Singapore-based Buxani Group and offshore investors advised by Mukesh Valabhji of Seychelles-based Capital Management Group (CMG). The duo picked up the property, formerly known as GMG Building, for $48 million in 2006 and invested a further $6 million sprucing it up. Secretary of State Washington, DC May 2, 2014 May 3 we commemorate World Press Freedom Day at a time when for too many, a free press is under assault, and the journalists, bloggers, photographers, essayists, satirists, and essayists who give life to the words “free press” are in danger. Tourism and Transport Ministers are to meet in a historic first joint Ministerial Conference on Tourism and Air Transport in Africa on the 14 and 15 October 2014 in the Seychelles. The announcement was made following the signature of an agreement between the UNWTO (United Nations World Tourism Organization and the ICAO (International Civil Aviation Organization) during the UNWTO Commission for Africa (CAF) Ministerial Meeting held in Angola last week. The Tourism & Transport Ministerial Conference will address critical issues related to bridging air transport and tourism policies, including the current regulatory framework, taxation and the way forward in facilitating all the travel process. UNWTO is itself committed to improving air connectivity through a closer coordination of tourism and aviation policies to ensure sustained growth of the tourism sector and that of air transport.